The Tiger Lifting PROLH Model Ratchet lever hoist features lightweight, compact and rugged construction with the handle, gear case and brake cover made entirely of pressed steel, producing strong resistance to impact damage. The advantages over the predecessor range have been maintained and further optimized. The stong impact resistant gearbox housing is fitted as standard with close tolerance fit bearings that fully support the pinion drive shaft and plantery gears to maintain smooth operation whilst under load. All major components are heat treated and precisly machined to ensure long term smooth operation. The PROLH range of lever hoists are finished in the manufacturers high quality powder coat paint finish offering excellent corrosion protection. These units meet and exceed all the requirements within BS EN 13157: 2004+A1:2009, ANSI/ASME B30.21-2005, AS1418.2 and SANS 1636. 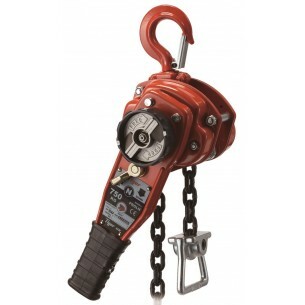 The Tiger Lifting PROLH model comes equipped with Tiger's own unique dual brake mechanism that automatically engages when the lever hoist feels the slightest resistance on the load hook. This key feature means that the PROLH will raise, hold, and lower the lightest of loads without slipping, and protects against accidental light load failures caused by putting the hoist into neutral whilst under load. A good, versatile, all round ratchet lever hoist for demanding conditions. • All models can be equipped with an overload prevention device in the form of a slipping clutch which is factory preset to approx. 25% ± 15% overload. The PROLH comes equipped with our own unique dual brake mechanism that automatically engages when the lever hoist feels the slightest resistance on the bottom hook. This key feature means that the PROLH will raise, hold, and lower the lightest of loads without slipping. 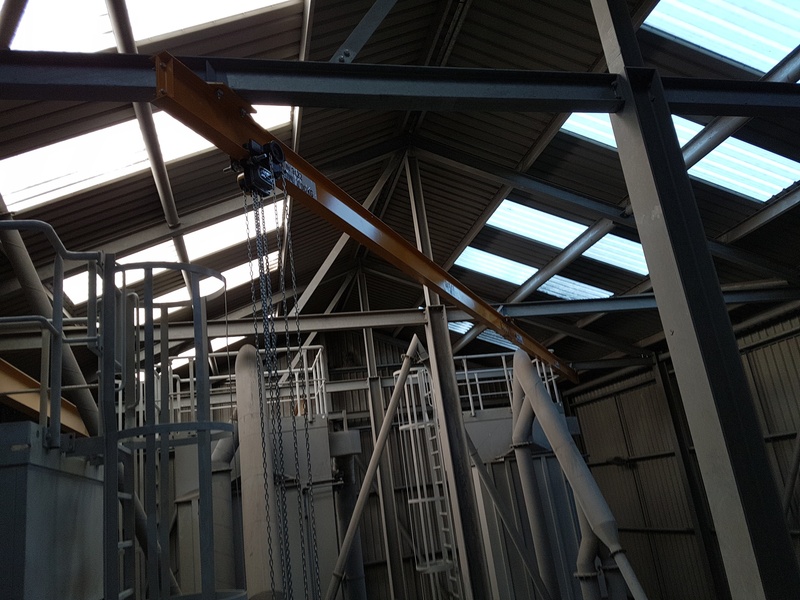 The two stage process protects against accidental light load failures caused by putting the hoist into neutral whilst under load. This latest development in brake efficiency guarantees permanent engagement of at least one of the twin reciprocating cam pawls fitted to the PROLH, ensuring the pawl only just clears the ratchet wheel, with the minimum of clearance as required under BS 4898:1973. The bonded friction discs are free of asbestos and achieve highly efficient braking. User friendly heavy duty end stops make it easy for the operator to position the chain while "freewheeling”, but most importantly this "end stop" will hold a load of at least 2.5 times the rated capacity when supporting the full load without restraint from other components e.g. brake or gearing. Drop forged and heat treated alloy hooks are furnished with heavy duty latch kits that fully engage into the nose of the hook offering maximum load security.The swivel hooks are attached to the yoke using high grade nuts & socket head bolts allowing for complete inspection during any statutory inspection or written scheme maintenance. Also available with spark resistant hooks. High performance premium quality grease allows the PROLH hoists to be certified for use within a temperature range of -40°C to +50°C far exceeding the requirements of current standards.